Photo courtesy of Joanna Stern via ABC News. 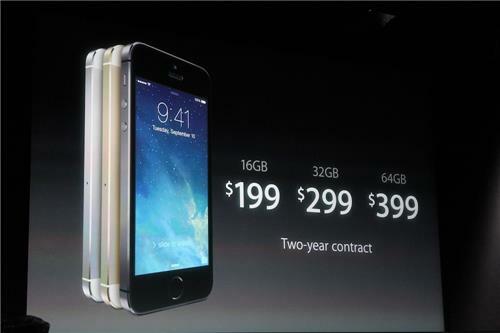 iPhone 5S starts at $199 with two-year contract. 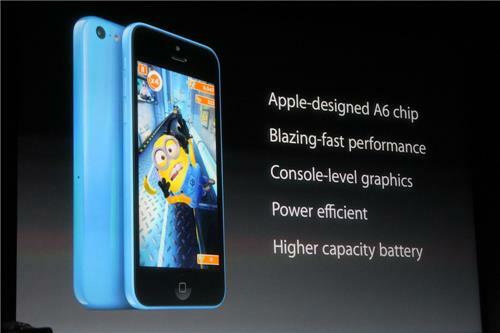 The iPhone 5c comes with a new design in five colors. Although it’s certainly a more affordable version of the iPhone, Apple stresses that it’s still just as well made and designed with steel reinforced structure, multiband antenna, and 4-inch Retina display. A 16 GB iPhone 5c starts at $99 w/ 2-year contract. New multitasking view and enhanced Camera (built-in filters) and Calendar apps. Watch the official iOS7 video here to see what’s new! iOS 7 will be free starting on Sept. 18! Pre-order starts on Friday & launches in stores on Sept. 20. We’re quite excited about the all these new developments, but can we just say this? We were totally first into the whole color thing – have you seen the awesome colors our Band-It case comes in? Plus, make sure you’re on our waiting list to be first to find out when our iPhone 5/5s cases release (HINT: it’s happening extremely soon!). Email us at [email protected] and in the subject line put “iPhone 5 wait list”.